Nowadays, various products of intelligent life appear in large numbers, and in the field represented by hotels, the electronic door lock system has become a very demanding product. The first-class hotel electronic door lock system is very prominent in terms of function and quality. What should we pay attention to when choosing the hotel electronic door locks? As a popular application management system, the electronic door lock system should have a solid technical core. When choosing a hotel lock system, the first thing to do is to check its technical background, which means that the development team of the system has any technical experience and results system in the industry. Second, the stability of the operation. 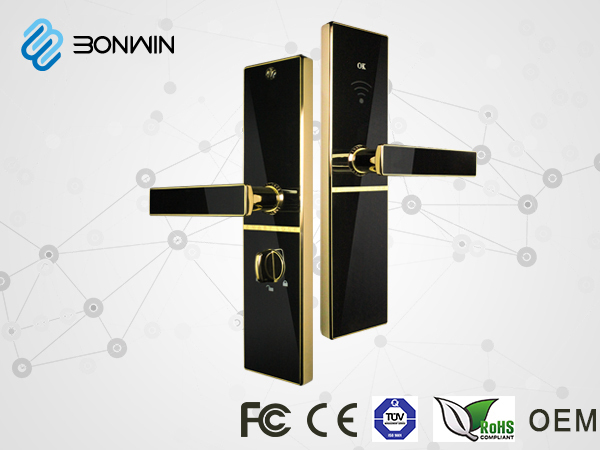 For hotels, managers and consumers of electronic door locks will frequently come into contact with these devices, then all aspects of the electronic door lock’s functions will remain stable at high use frequency, and this is the stability of the smart electronic door lock system technology and the basic quality of the various aspects of the equipment are closely related. In addition, when selecting the hotel lock system, we must also pay attention to the scope and adaptability of the technical docking. It mainly refers to what kind of space and scale the system can be used in the application field, and whether it can be well docked with related equipment and professional teams in a field is equally important. In general, when you choose the hotel electronic door lock system, you need to find the entry point. Emphasis should be placed on the maturity and reliability of the technical background of the hotel lock system, as well as the stability of the equipment under high-frequency use. Of course, the applicability of the electronic lock system can also be assessed from the adaptivity of the technology docking in different application markets. Next：Why Do We Have To Trust The Big Brand Hotel Control System? Prev：How Do Smart Hotels Become "Smarter"?